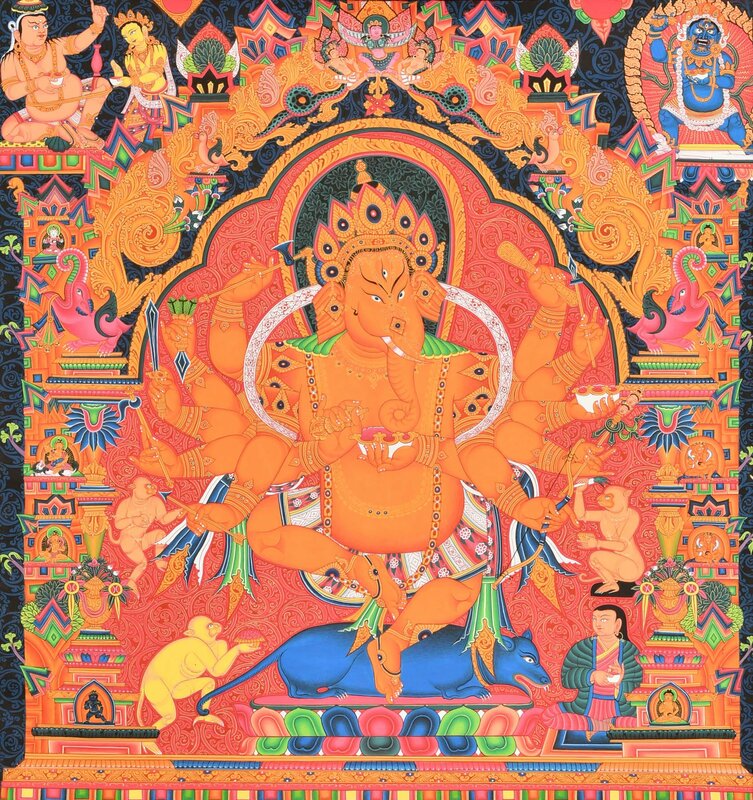 This charming image of Ganesha shows him in a dancing posture with four arms. His stance, with the bent left leg slightly bought forward and the right lifted slightly at the heel, is reminiscent of Indian classical dance. Who provides music for this skillful dance? It is Ganesha's mouse, who provides the rhythmic beats from a pair of cymbals. Ganesha is clad in a delightful pink dhoti fringed in gold and held at the waist by an elaborate waistband. A deadly serpent forms his necklace. In his hands he holds a noose, axe and a bowl full of modakas which he is busy emptying. This is what is responsible for his portliness. Rolypoly children are adored in the Indian subcontinent and hence this charming image of our beloved Ganesha dancing on a lotus.